The world's first early childhood curriculum featuring drone technology. 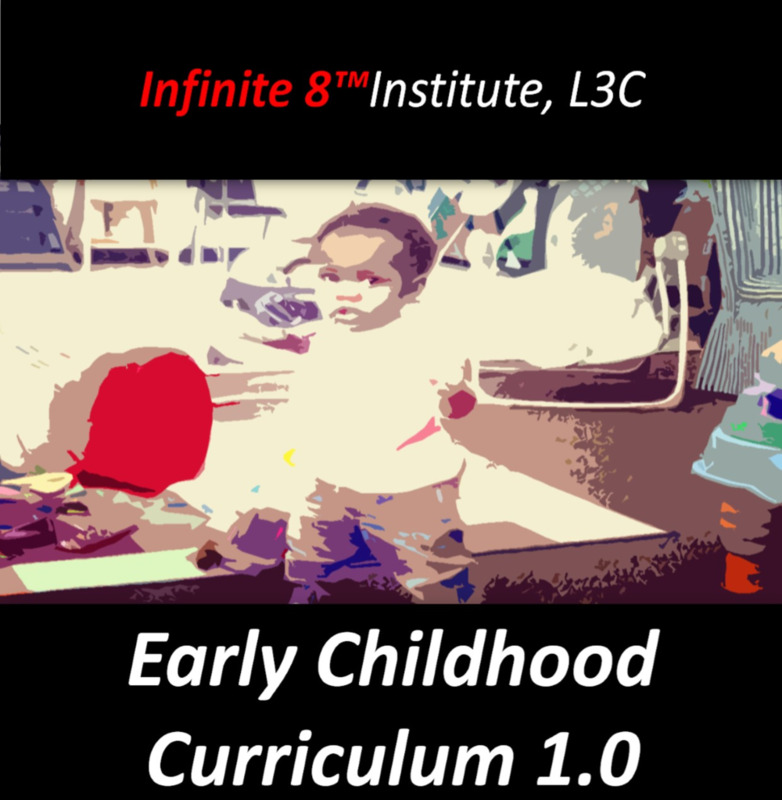 The Infinite 8™ Early Childhood Curriculum 2.0, was created by author, inventor, IBM Global Entrepreneur, and early childhood advocate, Ean Mikale, J.D. The Infinite 8™ Early Childhood Development Program was developed in order to ready a new generation of drone pilots and engineers, ensuring the future of the American workforce and overall economy. The curriculum was developed with input from early childhood professionals, staff, social workers, and most importantly parents. Our hope is to utilize the principles of STEM to ready youth for future careers in the digital economy. Our curriculum is perfect for in-home childcare, learning centers, K-4 schooling and home schooling. Purchase now! First and foremost, I would like to personally thank you for your willingness test our early childhood product. We have spent countless hours of researching international best-practices and interviewing parents, providers, representatives of global government, businesses, public schools, charter schools, and universities in order to create a superior educational product. The common thread throughout the many conversations was the lack of preparedness young people have for the new digital and knowledge-based economy. Overnight technology has taken the globe by storm. Additionally, mankind is starting to acknowledge the environmental effect that modernization has had on the worldwide ecosystem. There is an entirely new set of problems that our young people will need to face in order to thrive in a new and unpredictable age. This curriculum was created not to solve all the problems, but to give a child enough tools to think and learn how to discover answers for themselves. In the spirit of John Amos Comenius, we wish you well as you and your pupils embark upon a journey where there are no limits to what they can do and become. The Infinite 8™ Early Childhood Development Program, was created by author, inventor, and social entrepreneur, Ean Garrett, J.D. The Infinite 8™ Early Childhood Development Program was developed in order to ready a new generation of children to become globally competitive in the new knowledge-based economy of today. The curriculum was developed with input from early childhood professionals, staff, social workers, and most importantly parents. Our hope is to provide every child, from the very beginning, with the patterns of thought and behavior that lead to success in every field of human endeavor. Contact Aledia Kartchner (akartchner@infinite8institute.com) to host one of our trainings today! Our early childhood development programming is geared toward the 21st Century child, who is faced with a whole new set of obstacles. The curriculum is streamlined for easy integration into any existing center and/or home-based development center. The program curriculum is sold separately (see below). With the purchase of a subscription, the PDF Version is made available immediately, while the Hardcopy Binder is mailed the following business day.